The Auto Finesse Revitalise System is designed to make machine polishing easier for those new to the process. 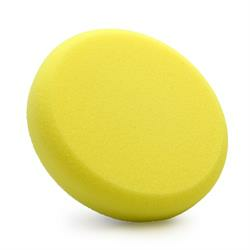 This polishing pad is designed to form Step 2 of the Revitalise System. This polishing pad is crafted from a softer, closed cell with larger pores for a polishing result that does not leave micro-marring. With enough bite to fully break down diminishing abrasives, this polishing pad gives excellent results quickly.